Do your kids hide when you tell them you are having spinach for dinner? I know I couldn’t even dream of enjoying spinach as a child! This recipe will surely help you conquer the fear of spinach at the dinner table. Cream cheesy spinach is a hit at my house even for my picky little man! I searched for the perfect combination for years trying to perfect that perfect Chinese Restaurant style spinach. You know the kind that is warm, fresh, and just layered in yummy cheese. I have finally come up with the perfect mix, and I’m so excited to share it with you. This post may contain some affiliate links for your convenience. The small commission I earn if you make a purchase helps keep my blog up and running. Click here for full affiliate policy. In a large saucepan over medium heat, melt the butter. Let it cook until golden and add in the nutmeg and salt. Mix in the frozen spinach stirring continuously for 5 minutes. 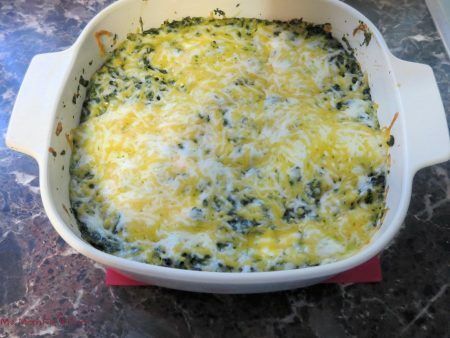 You may also adapt the recipe to using fresh spinach! 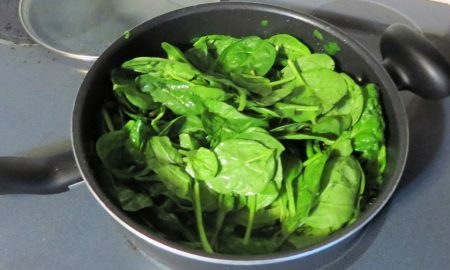 If you opt to use fresh spinach, put spinach in pan and cover with a lid to allow the steam to work into it. Stir often until the consistency is similar to canned or frozen spinach. 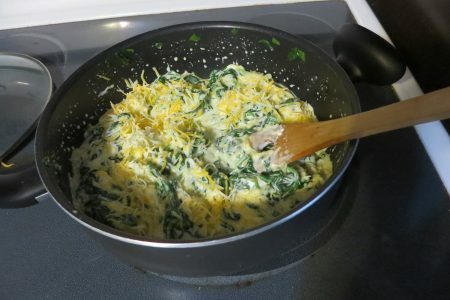 Add the cubed cream cheese, heavy cream, and 1 1/2 cups shredded Mexican cheese to the spinach. Transfer mixture to a greased 1-quart baking dish. Cover with aluminum foil and bake for 30 minutes. Add remaining 1/2 cup shredded cheese on top of casserole. Return to oven uncovered for 5-10 more minutes. My son loves this recipe so much that he literally BEGS for it. 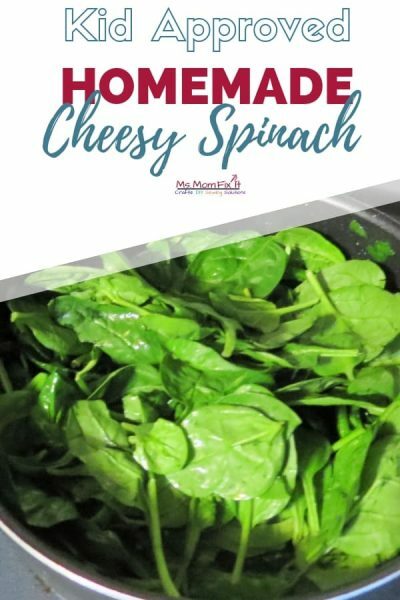 I would love to hear your feedback, and I hope your family loves this Cheesy Spinach recipe as much as mine does. 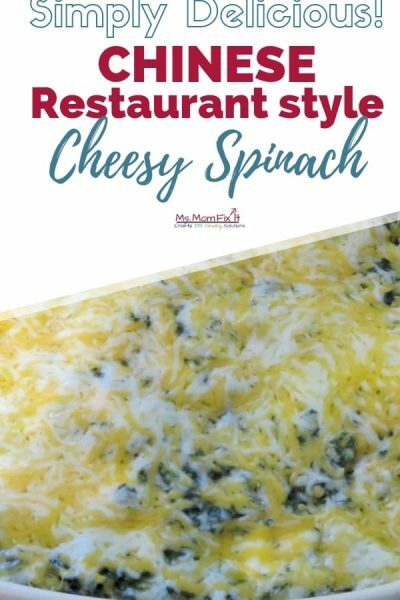 Delicious, creamy cheesy spinach similar to the yummy, gooey Chinese Restaurant style Spinach. 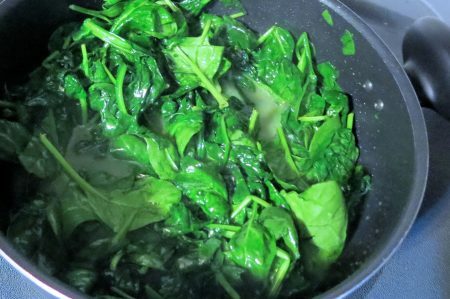 Mix in the spinach stirring continuously for 5 minutes. I'm always working on something fun! Follow along on my crafting and DIY adventures. I can help you be resourceful, thrifty, and creative. Read more about me here.